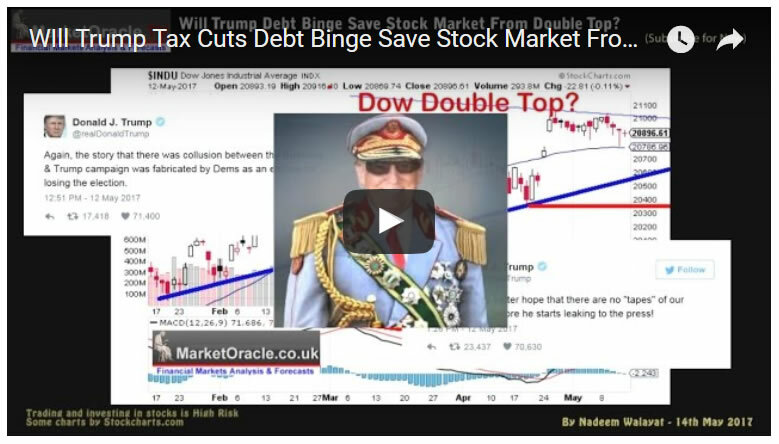 WIll Trump Tax Cuts Debt Binge Save Stock Market From Double Top Bear Plunge? So is the Stock Market forming a Double Top? It was not so long ago that I would only see stocks in terms to reverting back towards their highs, after all literally since the birth of the stocks bull market I have been iterating the mantra of "The greater the deviation from the stock market high then the greater the buying opportunity presented" Whilst now it's more a kin to the greater the rally from the last significant low then the greater the probability of sudden reversal. So why am I BEARISH during 2017, when I had been BULLISH for nearly 8 YEARS!